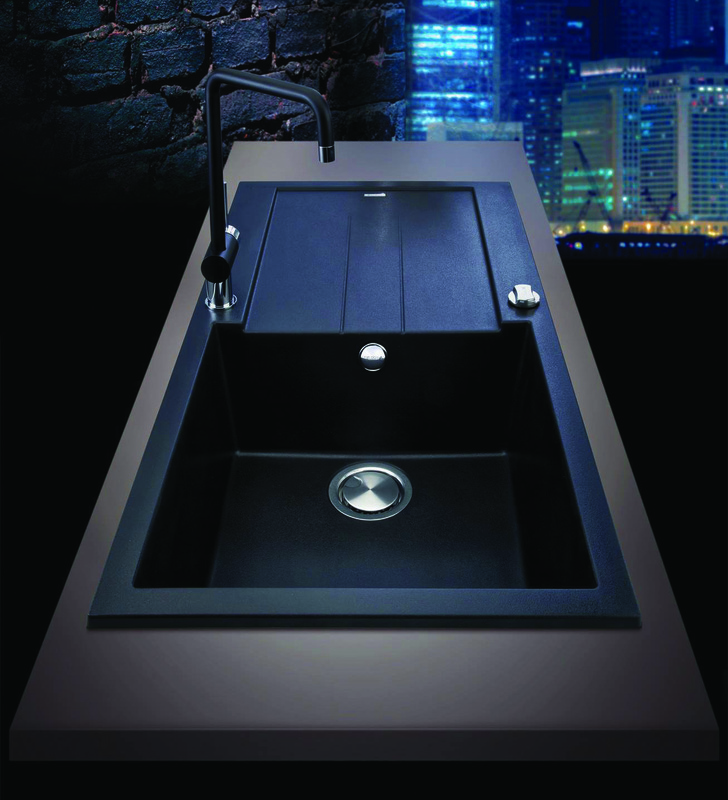 Telma Italian sinks are made from an innovative compound material that is 80% granite quartz and 20% resin. All sinks are antibacterial and will resist stains, impact, scratches and heat. 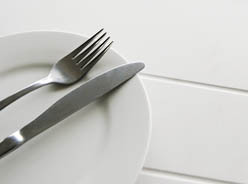 A sink in contact with food can pass on bacterial infections. 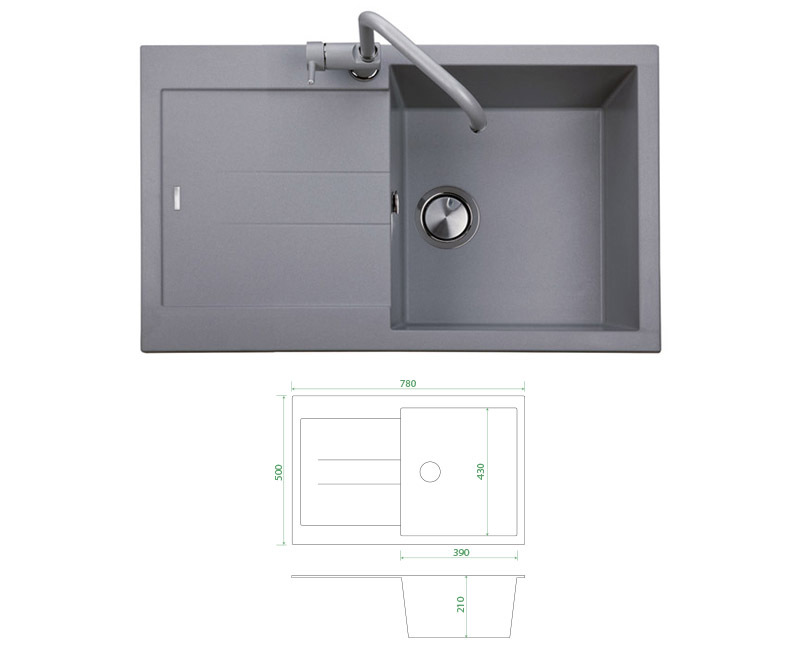 Telma sinks contain Microstop antibacterial protection, based on natural silver ions. It inhibits bacteria growth, reducing the risk of food poisoning. Along with normal kitchen hygiene, your kitchen will be a safer place to prepare food. When dirt can't stick, it's much easier to clean off. 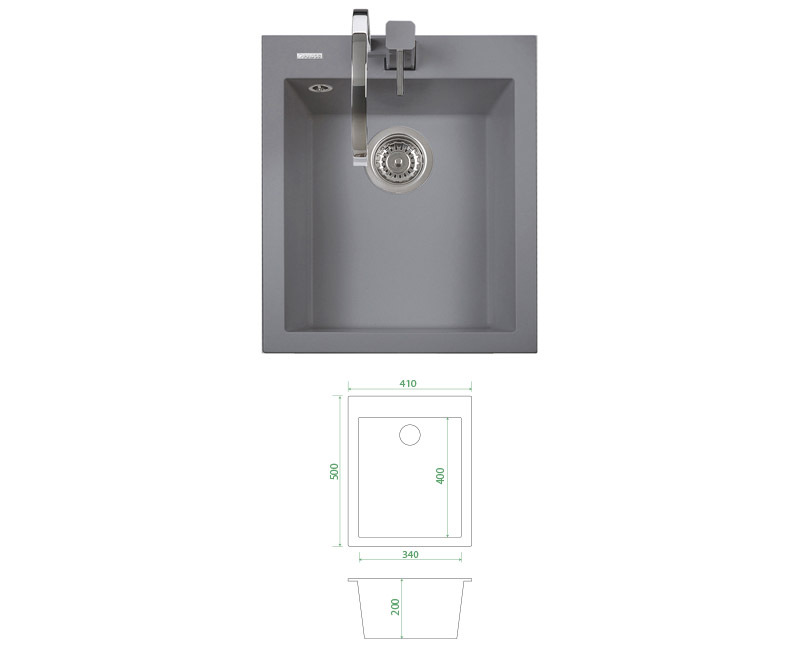 Plados Telma sinks contain UltraClean, a technology that helps water drops slide away. 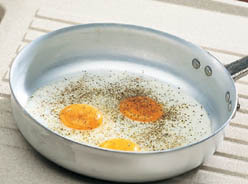 This makes your sink resistant to dirt and stains and easy to clean. 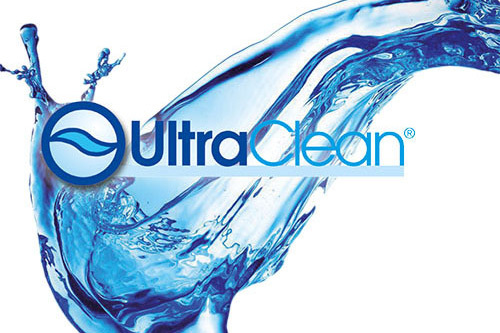 UltraClean protection is built into the structure of your sink, so it will last a lifetime. 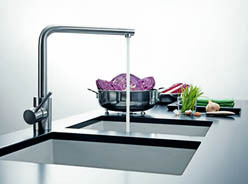 Telma sinks can help minimise bad smells in your kitchen. 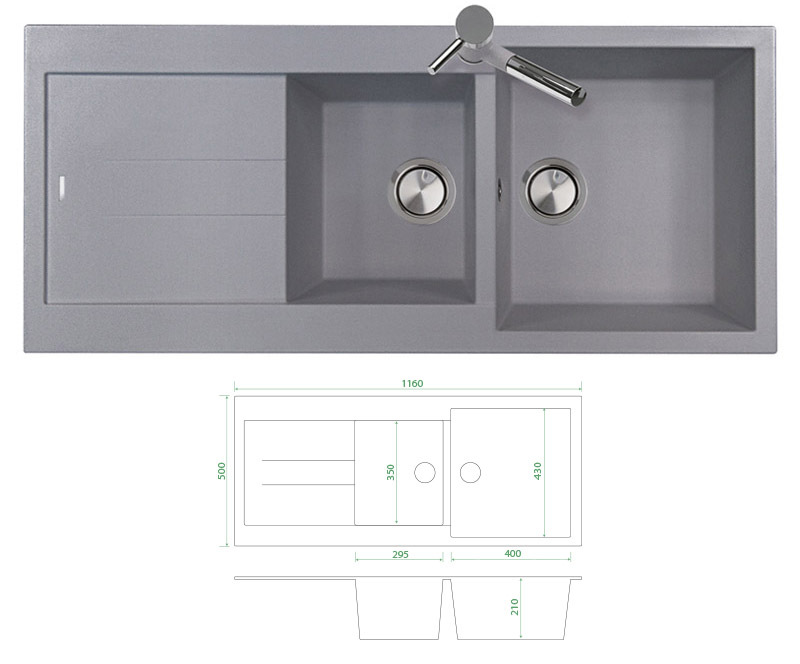 The Amanda series sinks have Ariapura integrated into the sink structure. It contains titanium dioxide, a natural antibacterial agent. Ariapura eliminates germs and bacteria, reducing odours on the sink and in the air. 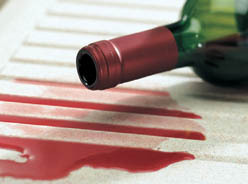 Dirt and stains are easily removed by rinsing and gently wiping the sink. 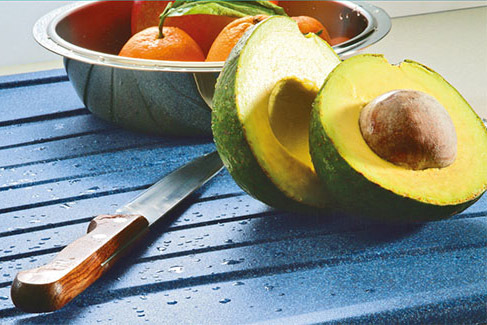 Telma sinks are very resistant to scratches, marks and everyday wear. 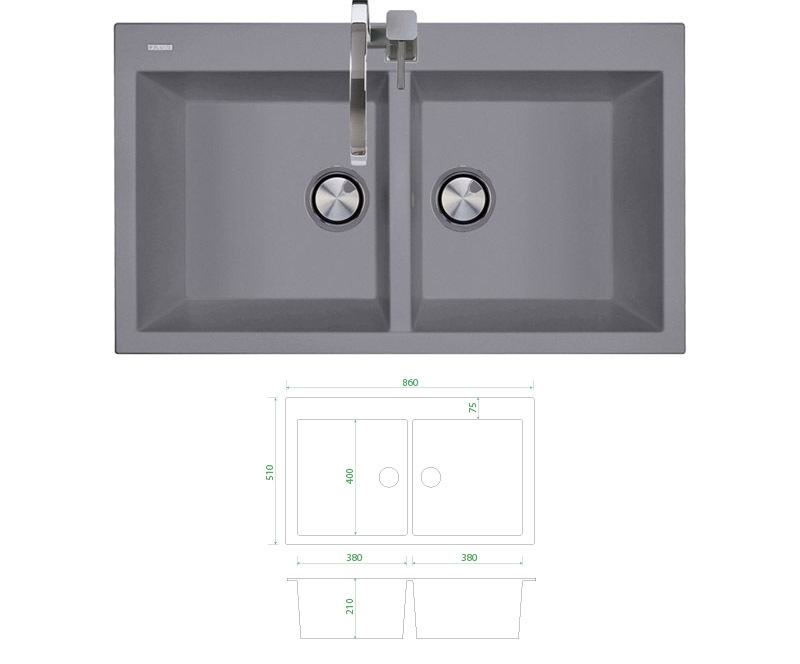 Plados Telma sinks can withstand temperatures up to 280° without damage. 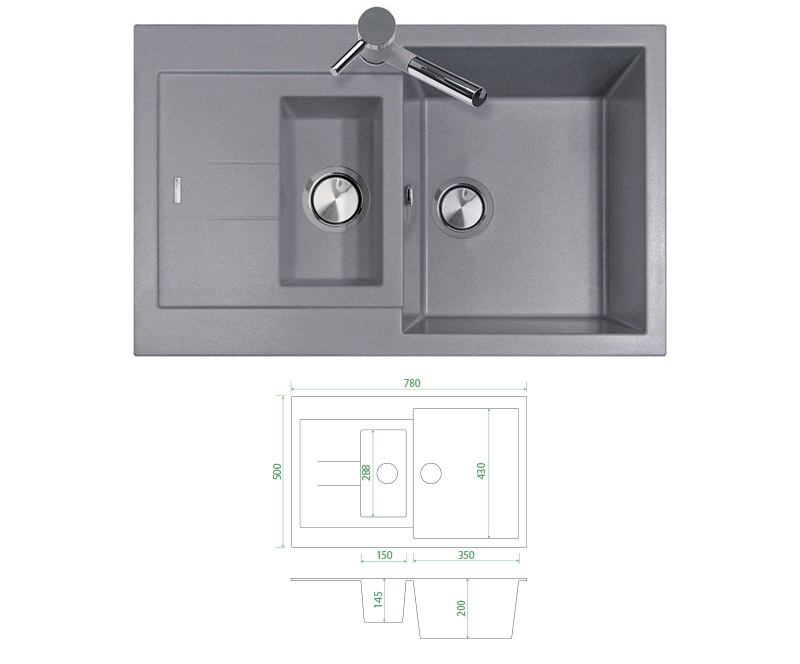 Telma sinks are very strong, protecting the sinks from breakages or damages that may be caused by accidental hits. 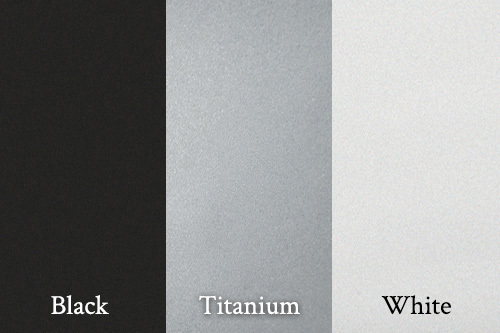 The colour of Telma sinks will remain bright and unchanged over time. 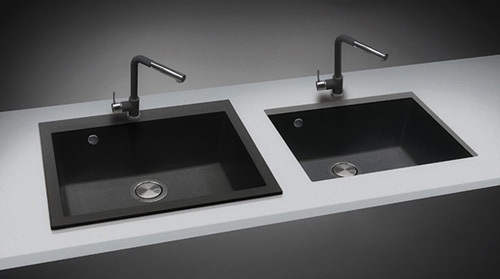 Telma sinks have a non-porous surface. 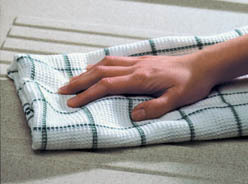 They are easily cleaned with a mild detergent and a cloth or sponge. 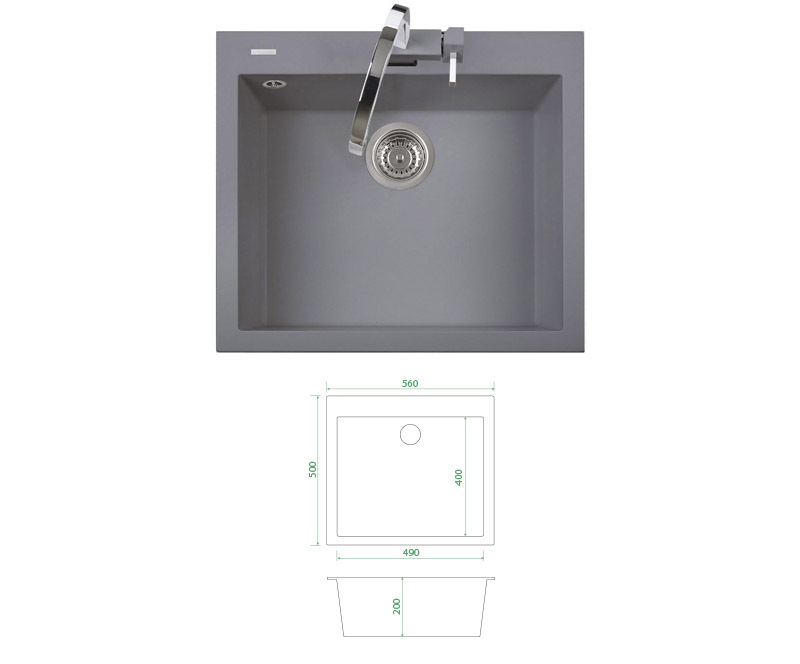 Telma sinks are available in a range of elegant colours to compliment any design style. 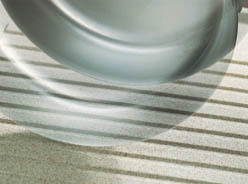 All are made from the durable 80% granite quartz, 20% resin compound material. 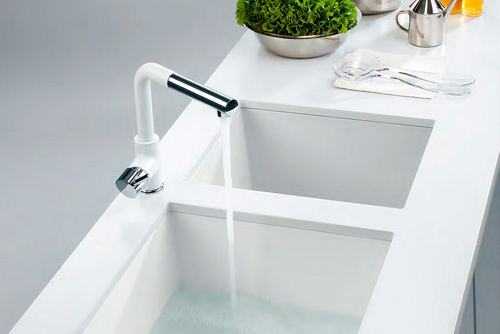 The Amanda and Cube series sinks have a contemporary square style with a completely flat upper edge. This gives you two installation options, whichever model you pick. Leave us your details in the form below and we'll be in touch with you as soon as we can.